This 19x18x9 Ft. Animal Kingdom Toddler Combo is perfect for your young ones. 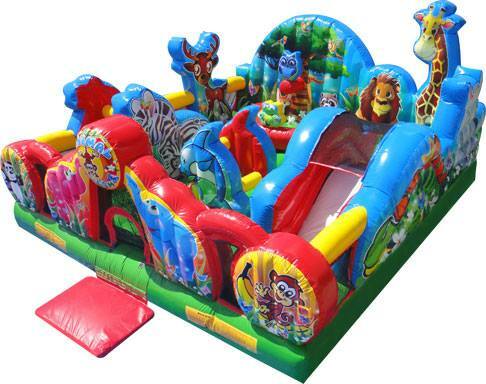 Inside they will have wild fun with pop-up obstacles, lots of jumping space and a fun toddler-sized slide. Reserve today!